A pure passion for the sport of karting is one that can be filled by all levels of competition. It shouldn’t matter what speeds are being turned, or how elevated the technology is…pure enjoyment of the sport is just that. National and international competition is thrilling and action-packed, for certain, but the honest enjoyment in club karting, our sport at its purest, is what is at the heart of any true enthusiast. 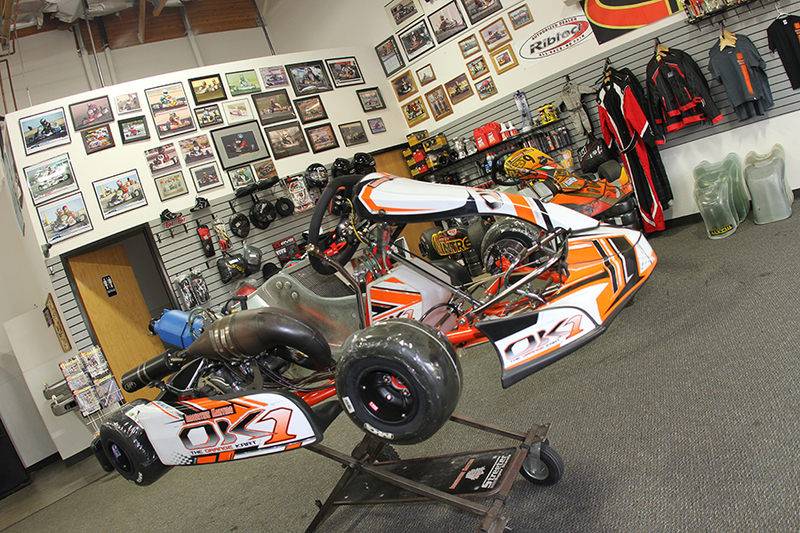 When you find a kart shop that focuses its efforts on the club scene, you’re very likely to see a passionate racer behind the counter and in the shop. It’s not about the glitz and glamour. Sure, running the national circuit with a big team and performing in the spotlight of the media can provide a regular rush of adrenaline, but maintaining a retail store and service center that promotes the sport at its foundation provides karting with something much more valuable. A strong club shop is like the soil that feeds a farmer’s crop, not the dish that is served at a Michelin star restaurant with the ingredients sourced from that local farm. 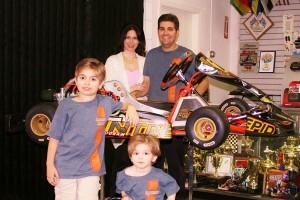 Without club karting and the local kart shop, there wouldn’t be a national level in the first place. 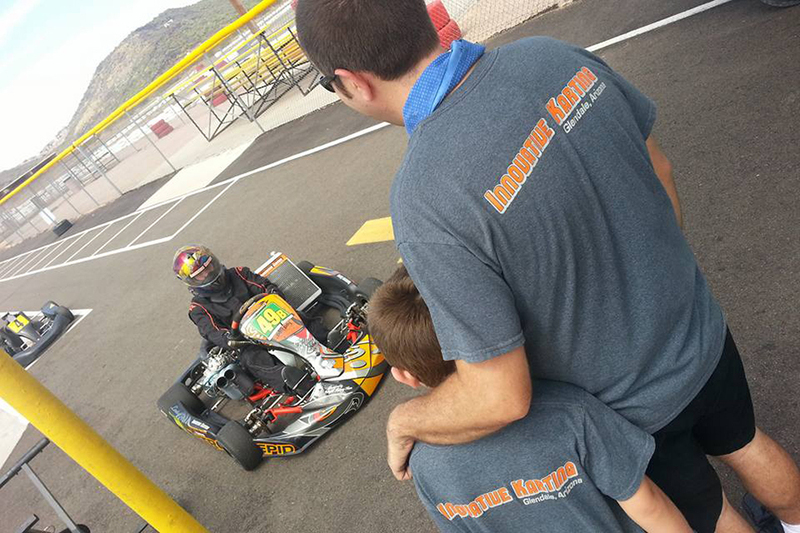 Karters in Arizona who race at the Phoenix Kart Racing Association in Glendale are extremely fortunate to have a local shop owned and operated by a veteran in the sport, an enthusiast who has made the decision to focus much of his effort on growing and supporting club and grassroots karting. In a time where dedicating effort and resources on the foundation of the sport will be key in strengthening karting moving forward, Curtis Ruth is a guy with the right priorities. 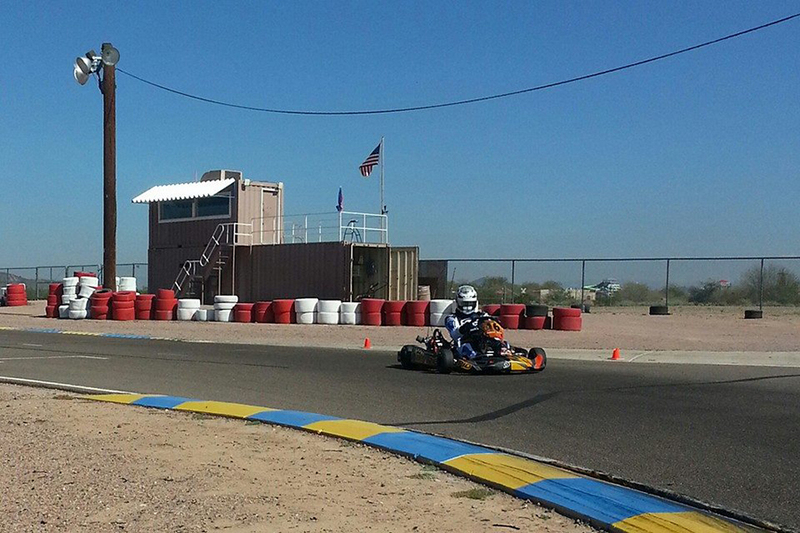 Curtis, 36, has been racing for over 20 years and he’s been a full-time kart shop owner since 2005, running Innovative Karting out of his 3200’ square foot facility in Glendale, AZ. Innovative is a full-on brick-and-mortar kart shop that makes sure that PKRA racers have the parts and service they need, when they need it. The shop boasts a full showroom and parts area filled with everything a racer could ask for, providing quick access to equipment, consumables, safety equipment and trusted service. Ruth certainly provides premium support for grassroots racing, as the shop stocks and supports products for the Briggs, Rotax, TaG and shifter classes. 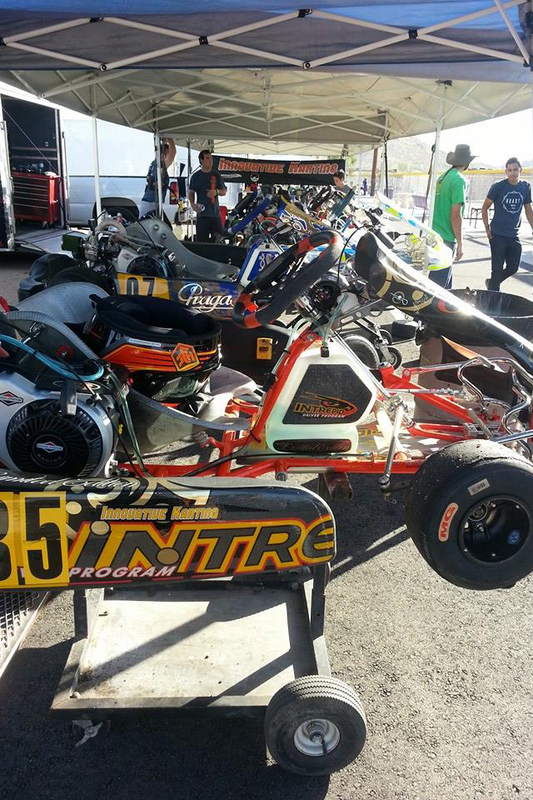 Innovative Karting is an Intrepid and Extreme kart dealer and is also outfitted with a full machine shop and the necessary fabrication equipment. In addition, the shop area can provide storage for over 30 karts, which opens the door for racers without their own garage space. The shop is just 10 minutes from the PKRA and Ruth spends a great deal of his time trackside working on kart tuning, driver instruction and fostered customer relationships. They’re also just 30 minutes from the Wild Horse Pass racing facility and they can go road racing once a month, if desired. Innovative Karting is truly a family operation as well, as Curtis’ wife Melissa works alongside her husband, handling the bookkeeping and the shop’s website, while also managing the parts counter and their growing family. The couple’s young boys – Matthew and Kevin – are fixtures on the shop floor. A third child, another expected racer, is on the way. Curtis has a long history in the sport, from the perspective both of a driver and through his time in the industry. As a competitor, Ruth worked his way through the club and regional ranks in Arizona, and participated in many major nationals events in the late 1990s and early 2000s. He’s an IKF Expert and has won three Grand National Duffy’s. Curtis also competed in the WKA Constructors Championship in the late 90s and was a frontrunner in the Superkarts! USA ProMoto Tour during the late 90s and early 2000s. His experience runs the gamut from Saturday morning club events to full-on international competition. Ruth’s local club, the PKRA, promotes both two-cycle and four-cycle racing, running assorted Rotax Max Challenge and Superkarts! USA classes for TaG and shifter drivers, and two grassroots Briggs Racing classes as well – LO206 and World Formula. There are other shops in the area that focus solely on the higher-speed categories and travel to national races around the country, but it is Ruth who has elected to fuel the growth of the club from the ground level, heavily promoting the Briggs Racing LO206 and World Formula classes that have been responsible for bringing new blood. He’s also dedicated to keeping these racers on-track, at the club, enjoying the sport. I had the distinct pleasure of spending a few hours with Curtis at the PKRA facility following the Challenge of the Americas event in Phoenix back in February, sampling the two levels of the grassroots Briggs Racing program that he focuses on with new customers. Ruth rolled a pair of Intrepid chassis out of his trailer for me to sample: a LO206-powered Raptor and a Cruiser that sported a MCR-prepped World Formula. I’ve driven shifters, TaGs, Rotaxes, and Yamahas, and I still love hopping behind the wheel of a four-cycle machine whenever I can. In fact, it’s what I own personally and what I run at home during most off-weekends. The PKRA is working hard to build a four-cycle program at the club, which will remove one important barrier of entry for newcomers; the initial equipment buy-in costs. With a turnkey Intrepid LO206 package from Innovative coming in at below $5300, considerably less than a TaG package, it opens the door for so many additional people to get off the sidelines and into the seat. Ruth offers an even more affordable option as well with the Extreme brand. I began my track day at PKRA with a couple sessions in the Intrepid Raptor LO206, which was fast and mostly flat-out thanks to the grip levels offered by the rubber put down from the COTA event. I’ve always loved the PKRA layout, having tested several karts at the facility over the last 15 years. The differing corner layouts provide a great challenge for the chassis, and I found quick comfort in the Intrepid. The Raptor was incredibly free, even with the rubber than had been laid down during the COTA weekend, and once I found the line that worked for the LO206, I was flying. As I said, the track is wide-open for much of the lap in the LO206, although the bowl at the end of the long straight and the following off-camber left-hander are obviously tight and I elected to roll a little brake to get the kart to rotate to the apex. The Raptor tracked quickly through the corner and rolled good corner speed to the exit. 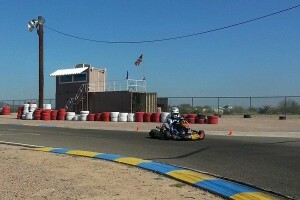 I seriously love that track and the kart was easy to drive. Curtis did mention that the club runs the ‘vintage’ layout of the track for the LO206 Senior class at four-cycle events, short-cutting the course before the Esses that head over to the far hairpin which leads onto the straight, as this shortens the straightaway and allows for a gear-change that would positively effect the rest of the track. I’d love to try out that configuration as well. This was the initial layout of the track before the extension was added in the early 2000s. After sampling the LO206, I jumped into the World Formula karts of one of Curtis’ customers. While the LO206 is pretty much full-song all the way around the ‘national’ layout, other than the three 180°, the World Formula has more grunt and presents more of a challenge. The bottom end torque contrasts the softer power ‘hit’ of the LO206, but such as the case in all motorsports, you pay for speed. I could have banged off laps in either kart all day, but prior commitments negated this option. The four-cycle options are gaining more and more momentum at this great Arizona facility, and Ruth’s belief in the program is at the core of this growth. It’s been great watching the PKRA grow both of these classes, and the PKRA Four-Cycle Showdown that is coming up this weekend (October 23-25) will no doubt enjoy close racing in what has become the largest four-cycle event in the Southwest. You can be sure that Curtis Ruth and Innovative Karting will be front and center for that event. Getting a chance to drive in Phoenix was a treat, as was the opportunity to have an in-depth look at the program he has developed, but the best thing I was able to do during this hot February day was to ‘bench-race’ in the trailer with Curtis when I was done on-track. It was so positive to hear him discuss his motivation for narrowing his focus on club racing at PKRA, including his desire to spend time with his family and to give affordable karting a voice and a support system that it didn’t otherwise have in the region. The sport relies on guys like Curtis to grow the grassroots foundation, and I’m filled with confidence in the future of our sport every time I get a chance to sit down and talk to such a true karting enthusiast. 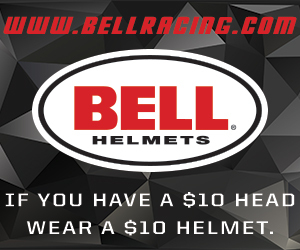 Do you have a local shop that focuses on growing grassroots karting by supporting its local club, one that presents a professional storefront business? If so, let us know. We’d love to profile them on EKN. Curtis is a real asset to the PKRA club. He understands the full cycle of karting and knows where he needs to put his focus. He does not fall into the trap of a quick buck from a couple customers that will be around until they are bored or frustrated. Unlike many who have abandoned the shop business model for the team model Curtis wants his customers to be as independent as possible which is the opposite of what the team model provides.